I’ve been using wool dryer balls for a while now. They’re round, woolen balls that you toss into the dryer with a load of laundry. They reduce the drying time, which saves money. They also soften the laundry and reduce static cling, which always amazes me. What I really like is that there are no chemicals or additives. I use 3 woolen dryer balls per load. 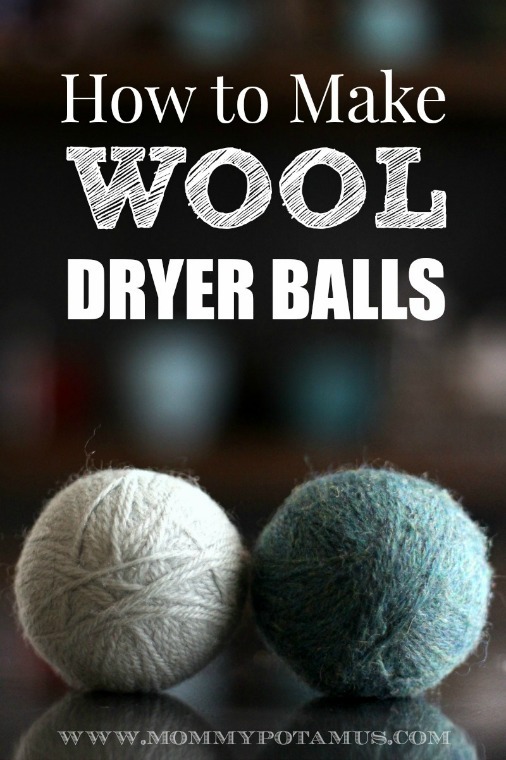 This is a tutorial by Heather that explains how to make your own homemade, woolen dryer balls. It’s really easy. The important thing is getting the right type of woolen yarn. Heather explains the type of woolen yarn to get for this project. She also includes some helpful photos. She also has a really neat tip at the end of the article. Click on the How to Make Wool Dryer Balls link below to see the complete article and tutorial.